I'm excited to announce that the 5th Annual 30-Day Gratitude Photo Challenge is about to begin in just a few days (November 1, 2015)! For the past four (!) years, I've hosted a 30-Day Gratitude Photo Challenge (see here and here and here and here), and this year it's back again for year five! If you're not familiar with the challenge, the premise is this: snap photos inspired by the daily prompts listed above and share them on social media with the hashtag #Gratitude30. A simple yet effective way to embrace gratitude all month long! If you haven't done this before, you might be wondering: Why participate in the challenge instead of just being grateful? In my experience, participating in the challenge makes being grateful easier because it holds you accountable for your thankfulness and it encourages you to look for gratitude all around you. Though I try to practice gratitude on a daily basis, this challenge motivates me to think more about what I'm lucky to have in my life. Plus, it's actually really fun to do! The challenge also encourages you to get specific about what you're grateful for. In his book The Happiness Advantage , Shawn Anchor discusses how gratitude lists sometimes aren't as effective as they could be because they're often repetitive and general, like being thankful for "family" or "shelter." To create a deeper sense of gratitude, it helps to get more detailed — and that's what I'm hoping you'll do with the 5th Annual 30-Day Gratitude Photo Challenge! They say home is where the heart is, but what does "home" mean to you? Is it where you rest your head each night? Is it where you grew up? Or is home more of a state of mind? Whatever home means to you, reflect on it and share a photo of it today. One of the most important things to be grateful for is love. There are so many kinds of love and each one is deserving of your gratitude. How do you share love in your life? How do you accept it? How does it make you feel when you think of the word "love"? For each and every one of us, happiness might mean something different. Try not to place any judgment on what makes you happy. Just contemplate it today and snap a photo of it to share with the world. Don't forget #Gratitude30! Someone once asked me what is the one thing I couldn't live without and I immediately answered: words. Words are my passion, but even if you're not passionate about words, I bet they've had a profound influence on your life. Share your favorites today. Though staying present is important, reflecting on positive memories can be wonderful. Consider your favorite moment or item from the past. What was wonderful about it? How do you feel when you think of that time / thing / person? Being grateful for nature is one of the best feelings. Look around for whatever nature you can find. What is inspiring or beautiful about it? What elements of nature do you most connect with? When are you most in touch with nature? Laughing is one of the best activities in life, and I'm grateful for every moment I spend laughing. Today, reflect on what makes you laugh. Is it a movie? A book? A joke? A memory? A friend? Whatever evokes that giddy sense of happiness within you, be thankful for it. Music is another thing I'm immensely grateful for. (See my weekly playlists here.) There are songs for every occasion and mood and hearing the right one can change everything. What kind of music do you enjoy? What song is your favorite right now? This prompt can go one of two ways: (1) you could share a gift that someone else that has given you that you're thankful to have received, or (2) you can share your gratitude for a gift/talent that you possess. Today, reflect on the wisdom you've received in your life. Who is the wisest person you know? What have you learned from him/her? Or, reflect specifically on a piece of advice or an experience that's made you wiser. Many of us (especially me!) are creatures of habit. What routines do you have in your life? What is it about these routines that keeps you doing them? Do they make your life easier? What elements of them are you thankful for? Clothing is a something we often take for granted, but we are so lucky to have it. What attire makes you feel the most thankful? What item makes you happy every time you wear it? What item serves an important purpose in your life? New things and experiences are exciting! What's been added to your life recently? What's changed? Do you have any new friends, new experiences, new mindsets? If you're struggling with this prompt, go out and do something new today! Weather can influence how you feel and act, making it something worth expressing gratitude toward. How do you feel when the sun shines? When the storm clouds gather? What is the weather today and how does it make you feel? Taste may be a difficult thing to photograph, but try to capture and share the tastes that you most enjoy. What is your favorite food? Why? What tastes (sweet, salty, etc.) are you most drawn to? What flavors entice and excite you? In the eye of the beholder lies beauty. What beauty are you grateful to see or experience? What things make your home, office, neighborhood, etc. more beautiful? Who around you embodies the essence of beauty? What do you find beautiful about yourself? Be grateful for and celebrate the friendships in your life today. Who has been by your side no matter what? Who can you call, day or night, for a chat? Who puts a smile on your face just by thinking his/her name? I have a love affair with technology, and I'm so thankful to have it in my life. In what ways does technology change your life for the better? What are you most thankful for when it comes to the technological advances in our world today? Time. We all have limited amounts of it, which is one reason we should be so grateful for the time we do have. How do you like to spend your time? What would you do if you had more time? What does the word "time" mean to you? The nose is a powerful tool, and what we smell can transform an experience or mood. Consider what your favorite smells are and why. How do they make you feel? Why do you like feeling that way? Today, be thankful for the aromas in your life. Comfort is a gift — whether it's in the form of physical comfort (a hug, a blanket) or an emotional outlet (a good listener, wise advice). What things, people, or situations make you feel most comforted? Be thankful for those things in your life. Family — no matter what shape or size it comes in — is something we're all lucky to have in our lives. Take note of your family today (and "family" can include close friends too!). What do you love about them? What do you often take for granted? Most of what we have in our lives (other than food and shelter) is a wonderful luxury. What luxuries do you have in your life that you should be thankful for? A car to drive you where you need to go? A bookshelf stuffed with books? Recognize (and appreciate!) your luxuries. Being thankful for work might be a challenge, but consider how work makes your life better. It provides income, and it can challenge, inspire, and excite you. Why are you lucky to have the job you do? How does this job improve your life? Even if you're not "creative," every day you create something. You create connections, experiences, conversations. You create art and music and magic. Consider what you have created recently. How did it feel? What would you like to create more of? * No photography skills needed. You don't need to be a photographer or even all that interested in taking photos to participate. All you need to be is interested in staying present and focusing on things you're grateful for. * Don't be scared by the word "challenge." It's just what these photo things are called so don't let it prevent you from participating. There's no reward, no punishment — just an opportunity to be more thankful. * Any kind of camera works. You can take your photos anyway you want to — with your phone, a digital camera, a DSLR, a Holga, an Instax, a SLR, a Polaroid. Anything goes when it comes to capturing gratitude. * Start at any time. The point is to focus on staying thankful for thirty days. You can start the challenge on November 1 and do it for the whole month (as I'm doing), or you can start the challenge any day that works for you. * Use #Gratitude30. If you post your pics on Pinterest, Instagram, Twitter, etc., be sure to tag them #Gratitude30 so others can see them. I'll be posting mine daily on Instagram (positivelypresent). * Print out a reminder. You can copy the photo above (save it to your phone, perhaps!) or you can download and print out a version to post wherever you'd find a reminder helpful by clicking here. 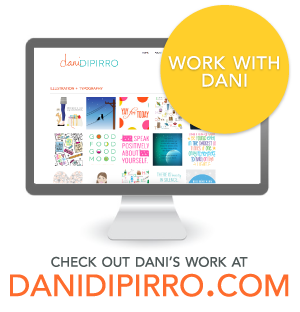 I'm looking forward to sharing my photos with you all month long — and I can't wait to see your photos as well! One great way to cultivate more gratitude in your life is to focus on being thankful for the unique aspects of you. You can discover (and appreciate!) more about yourself and what matters to you by downloading a copy of Finding Yourself: A Soul-Searching Workbook for Surprising Self Discovery. Filled with inspiration, questions, and activities to get you thinking about what it means to be you, Finding Yourself is a must for learning more about who you are and about what matters most to you. Learn more about the workbook here and purchase your very own soul-searching copy here. Last week, I was fortunate enough to have a chance to listen in on Tara Brach's talk via The Mindfulness Summit (you can still sign up if you're interested and it's FREE!) and her words of wisdom were, as always, so incredibly eye-opening. They related a lot to the topic of self-love which, as you know if you're a frequent Positively Present reader, is a passion of mine. I listened to Tara's talk twice on the day it aired and tried to jot down as much as I could. I wanted to share some of this inspiration with you (as well as add my own two cents!). Below you'll find her words (paraphrased) in italics and below those words are some of my thoughts on what she said. We all have the sense of being flawed in some way and this results in our suffering. We're at war with ourselves, and many of us don't feel at home with who we are. Because we're not living true to ourselves, we have a lingering sense of feeling unworthy, which leads us to constantly feel disappointed. We judge ourselves, feeling as if we're not good enough. This constant judgment makes us feel as if we have to be on guard all the time, which hinders intimacy with others, blocks creativity, and stops us from enjoying the present moment. We spend so much time feeling as if we're not enough. Believing in this limited self is a veil that covers our true nature, which causes us to suffer. We are taught that we are limited, defective, isolated. Realizing that you belong and recognizing the barriers you've put between you and love is important. Ask yourself: how do I keep myself from connecting with others? No matter who you are, you probably feel flawed in some way. You probably have some notion that you're not completely living up to your potential, that you're not doing what you "should" be doing, or you're not meeting some sort of arbitrary standard that society has set for you. This constant judgement of yourself blocks you from being who you're really meant to be. Imagine what it would be like if you dropped all your defenses and stopped feeling as if you were flawed in some way? That would be pretty amazing, wouldn't it? A feeling of separateness starts when we're very young. We view our inside in comparison with everything that's outside of us. With this separateness comes a need to defend and protect ourselves. And from this, fear arises. Many cultures (particularly in the West) encourage separateness. American culture in particular is very individualistic with very emphasis on belonging. We internalize this and it compounds the innate separateness we began feeling when we were young. This makes us feel like something is wrong with us, that we're defective in some way. To combat the suffering of separateness, we go after "false refuges," or substitutes to feel a sense of belonging, such as focusing intensely on our careers, putting all of our time and energy into how we look, overindulging in food, overthinking every little thing, judging others, or turning to drugs or alcohol. Much of our lives is organized around a feeling of insufficiency. We need to realize and release this feeling in order to get to the true nature of ourselves. We often cover over the purity of ourselves in order to cope with difficult situations with family, society, work, etc. And this becomes a problem when we start to identify with that cover as if it is who we really are. We start to think of ourselves as our defenses, our cravings, etc. This concept of separateness really resonates with me. As an introvert who strives to follow her own goals and aspirations, I often feel like I'm isolating myself from others, reinforcing the notion that I'm separate or "other" in some way. American culture also seems to really amp up this notion that we all should be different and we should celebrate our uniqueness. Being unique certainly isn't a bad thing, but the heightened emphasis on it definitely takes away from feeling truly connected with others. I've definitely turned to my fair share of "false refuges" in an attempt to ease the suffering of feeling separate and it never seems to work very well. I love the notion of focusing on belonging and connectedness, something I think we could all use a lot more of in our lives. We need to offer kindness to our own beings, to learn to love our present lives unconditionally. Imagine: what would it be like to love yourself unconditionally? Unconditional self-love can change your life. How much of your life is shaped by feeling unworthy? When you encounter self-aversion, you must face it with self-love and compassion. The more self-compassion you practice, the more your sense of self with shift. That shift is freedom. But you have to practice in order to create new patterns in your brain. It's like dyeing indigo: at first, you dip the fabric, it turns a bright shade of blue, then fades back to almost white. Dip it again, it looks bright blue, then fades back to white with a hint of blue. Again, it turns bright blue and fades to a slightly deeper tint of blue. You have to keep dipping the fabric in over and over again to eventually get the bright, vibrant hue of indigo. Same goes for self-love. You have to keep practicing a compassionate mindset over and over again for it to actually become a pattern in your brain. After many, many repetitions, self-love will hold and it will dye your life a brighter hue. The more you trust your own goodness, the more you'll see the goodness in others. You'll have a new perspective filled with compassion. Even when someone does something unpleasant, your heart will understand and it won't shut down. Self-compassion shifts how we relate to the world, and it helps the world as a whole. We learn to see past our own masks, which gives us an opportunity to seek others behind their masks. Self-love and self-compassion are absolutely essential to living a positive, present life, but, man, if they aren't hard concepts to master! There's so much in society that tells us we're not good enough or we could be better, so much that urges us to keep striving, keep seeking more than what we are, that it sometimes feels like an endless uphill climb to embrace self-love. Self-love takes a lot (and I mean, A LOT) of practice, but the reward of loving who you are is so absolutely worth all the effort. After listening to Tara's talk, I've been using my self-compassion mantra ("It's okay.") quite often and it really helps me when I'm struggling in the self-love department. You can start striving for this kind of self-love by recognizing what's happening and not judging it, practicing complete acceptance. There are two parts of awareness: (1) identifying what's happening (both internally and externally) and (2) letting it be and sitting with it (whatever "it" might be). Whenever you're feeling strong emotions, pause. The space between the stimulus and response is your freedom, as Viktor Frankl says. Try to become the witness and objectively view situations you find yourself in, rather than immediately reacting. I loved this part of Tara's talk because I'm always striving to be more mindful (and always struggling at actually being successful at it!). Breaking it into a two-part process made it easier for me to actually understand what it means to be fully aware (side note: every time I go to type "aware," I accidentally type "awesome," which I feel like is the universe reminding me of how awesome it is to be fully aware -- or it's just my brain playing tricks on me!). I tend to feel a lot of strong emotions (both good and bad) and I love that Tara shared Victor Frankl's advice in her talk. We could all benefit a great deal from pausing before reacting to the stimuli in our lives. There truly is a sense of freedom that comes from trying to be objective and observant rather than reactive. Listening to Tara's talk was so inspiring, and I highly recommend checking her out online or trying to attend one of her events. (I went to one earlier this year and it was amazing!) It can be hard to take time out of our busy lives to sit still and listen to someone else share their words of wisdom, but I've found that every time I'm able to sit quietly and just listen, I learn something new and valuable -- and I also practice my awareness/awesome skills! 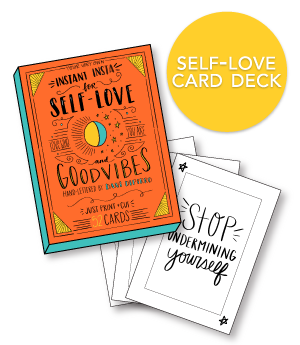 Want to empower yourself with some serious self-love and acceptance? Start loving yourself (or increase the love you already have for yourself!) with the inspiration and motivation found in Loving Your Self: An Empowering Workbook for Increasing Self-Love. Filled with uplifting encouragement, thought-provoking questions, and engaging exercises, Loving Your Self is an essential tool for mastering the art of self-love. Learn more about the workbook here and purchase your own copy here. Recently it seems as if it's become oddly trendy to be in love with autumn. Perhaps tons of people the world over have always adored autumn and are just now able to share it with the plethora of social media outlets. Or perhaps people are just jumping on the pumpkin spice / plaid-everything / crunchy-leaf-lovin' bandwagon 'cause fall is suddenly "cool." Either way, I'm totally down for all the seasonal hype because autumn has always been my favorite season and I can't get enough of it! This time of year there's a slight chill in the air, but it's not yet so cold that I want to hibernate. The sky is a bright, cerulean blue on clear days and a lovely soggy gray when it's overcast. Whatever the weather, brilliant sparks from red, orange, and yellow leaves always seem to stand out against the sky, and I can't help but feel more cheerful when I look up and see their vibrant colors. I don't know why I've always adored autumn (though I think the colors have a lot to do with it! ), but every year I seem to fall in love with the season all over again. Every year I swear I'll take advantage of the autumn festivities — I'll pick apples! I'll visit a pumpkin patch! I'll jump into a big pile of leaves! I'll have an outdoor photo shoot with my dog dressed in a cozy plaid sweater! — but the season seems to come and go so quickly that I barely get a chance to enjoy it before it's already gone. Okay, maybe not with literal spice (unless you're into that, which is cool). But creating a festive, fall-y (is that a word? it is now!) vibe always brightens up the home around this time of year. Nothing gets me in the autumnal mood quite like hanging up some fall (and Halloween!) decorations. Though I have a Halloween blanket that I use all year 'round (it's 20 years old this year! ), this year I'm spicing things up with a candy corn pillow, some cheerful pumpkin lights, and a smattering of spiderwebs. Nothing puts you in the mood for a season — or for anything, really — like decorating your home with festive decor. Now's the time to break out your favorite fall-themed items and put them on display! DIG IN TO THOSE FALL FLAVORS. Did you know it's pumpkin spice season? Ha, I know, I know — it's everywhere. It's probably more difficult to find something not pumpkin flavored these days. (See this article. )But you know what? Why not embrace it? Instead of feeling appalled at the over-pumpkinification (yep, another new word for you!) of everything, why not dig in to those fall flavors and enjoy them while they're around? Grab a pumpkin spice latte from your favorite coffee shop. Bake an apple pie. Pick up a bag of candy corn. (I'm already half-way through the one in my pantry!) One of the best ways to enjoy the season is to literally take a bite out of it, so I'm planning to make the most of the fall by sampling some of the seasons best flavors. I'm not a fan of the cold so in years past I've let the chill in the autumn air discourage me from heading outdoors — but not this year! This year I'm going to bundle up and step away from my computer to make the most of all the season has to offer in the great outdoors. Where I live, autumn is one of the best seasons — usually not too hot, but not yet freezing — and I know that getting outdoors and enjoying the fresh air is one of the best ways to get the most out of the fall months. This year I'm going to take advantage of it, even if only to sit on my balcony, drinking tea and reading books. I'd love to commit to a pumpkin patch outing, but I'm setting the bar low this year. Balcony and books seems much more attainable! TRY ON A NEW TRADITION. Pumpkin carving, apple picking, Instagramming pictures of pumpkin spice lattes — there are so many great activities that go hand-in-hand with the fall season. And a new season is a great opportunity to try on a new tradition. Other than putting up decorations, I don't really have anything that I do every single autumn, but this year I'm going to create a tradition that I'll hopefully do for years to come. I haven't fully decided what exactly that tradition will be yet, but it might involve baking the delicious Taylor Swift Chai Sugar Cookies that I baked with my mom last year. They were delicious and so very autumnal! Even if you do something small (like baking), starting a fall tradition can be a great way to stay excited about the season every year. SNUGGLE UP WITH A LOVED ONE. Of course, autumn — with its chilly air and often overcast skies — is the very best time to snuggle up under a nice warm blanket with someone you love! I might be single this season, but just because I'm boy-less doesn't mean I have to miss out on the snuggle sessions. I full intend to do some serious snugglin' with my pup, Barkley (whether she likes it or not — sassy little pup!). And snuggling doesn't even have to involve another person or pet. You can snuggle up all by yourself with some wool socks, a soft sweater, a cozy blanket, and, if you're lucky, a crackling fire. It's hard to deny that autumn is one of the best times for snuggling, and no matter what your situation, you can get all cozied up and embrace the season from the comfort of your couch! TUNE IN TO THE TRANSFORMATION. Autumn happens only once a year, and if you're not paying attention, you just might miss it! I feel like every year it skips by faster and faster, which is why I'm really making and effort to be present for it this year. Luckily, autumn is one of the best seasons for being present. So much is changing — the shades of leaves, the temperature of the air, even the attire of those all around you — which actually makes it easier in some ways to stay present through it all. If you feel yourself struggling to stay in the moment (and who doesn't sometimes!? ), taking note of all the changes happening around you can help bring you back into the present. My goal this season is to look for one new (autumn) thing every day! Clearly, I'm already in the fall spirit and, if you can't tell, I'm fully able to admit that I'm one of those "basic" girls who can't get enough of autumn and isn't afraid to share her love for the season with the world. If you love autumn as much as I do, I'd love to hear about your favorite parts of the season, your autumn traditions, or any additional suggestions you might have for embracing autumn in the comments section below!